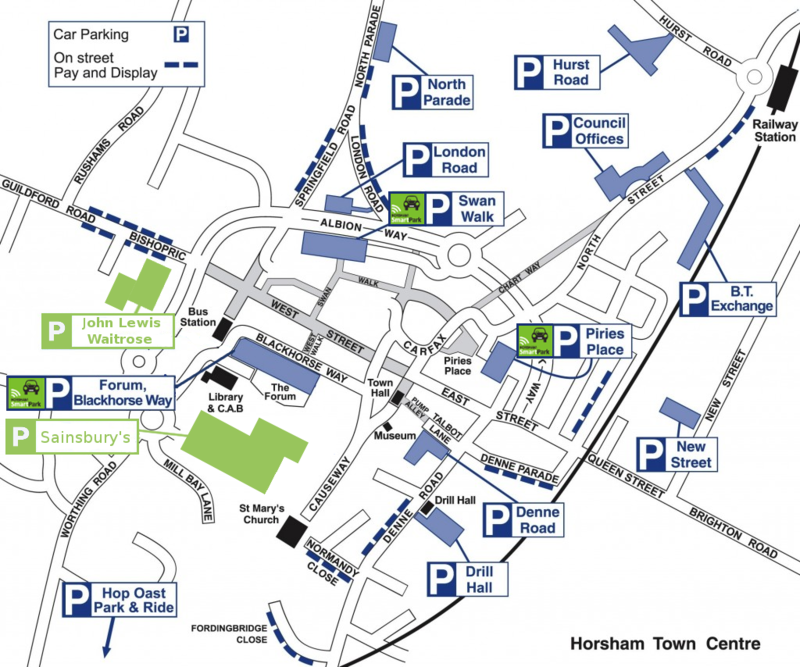 The graphic above shows the locations of the many public car parks that are available in Horsham Town Centre. The Car Parks Table contains live parking information fed from the main car parks in Horsham via the West Sussex Urban Traffic Management and Control system (UTMC). The data is updated approximately every two minutes. To load the latest data into the table press the 'Refresh Table' button. In addition to the car parks listed above, there are also several other Horsham District Council pay and display car parks.